Tenement land position has been simplified from two EPMs to one (EPM 26210). Land holding more than doubled to 8,290 ha. 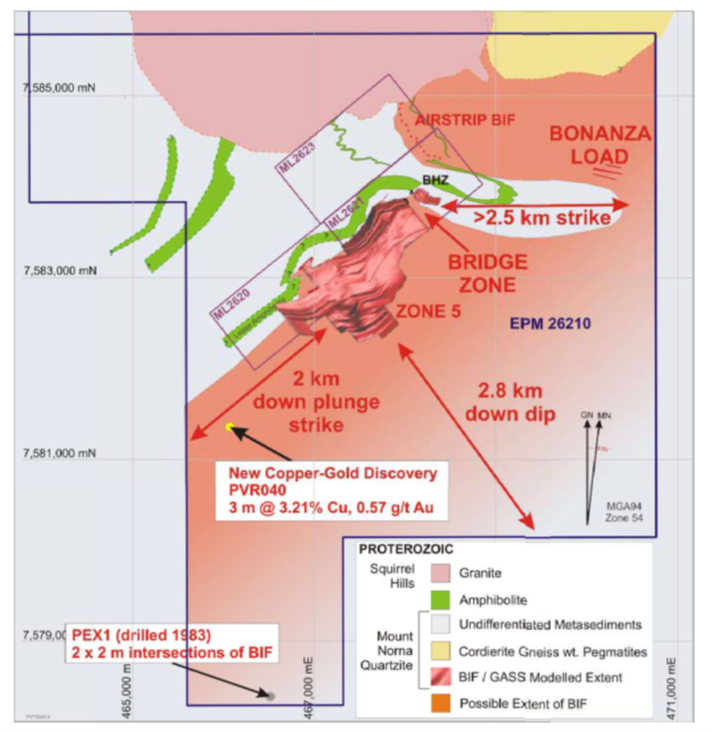 In the direction of increasing zinc grade there is an additional 2km of strike length and 2.8km down dip to explore. 5km of strike around a large fold structure between BHZ and the “Airstrip BIF”, possible repetitions of the BHZ geometry, this includes a previously untested IP anomaly.